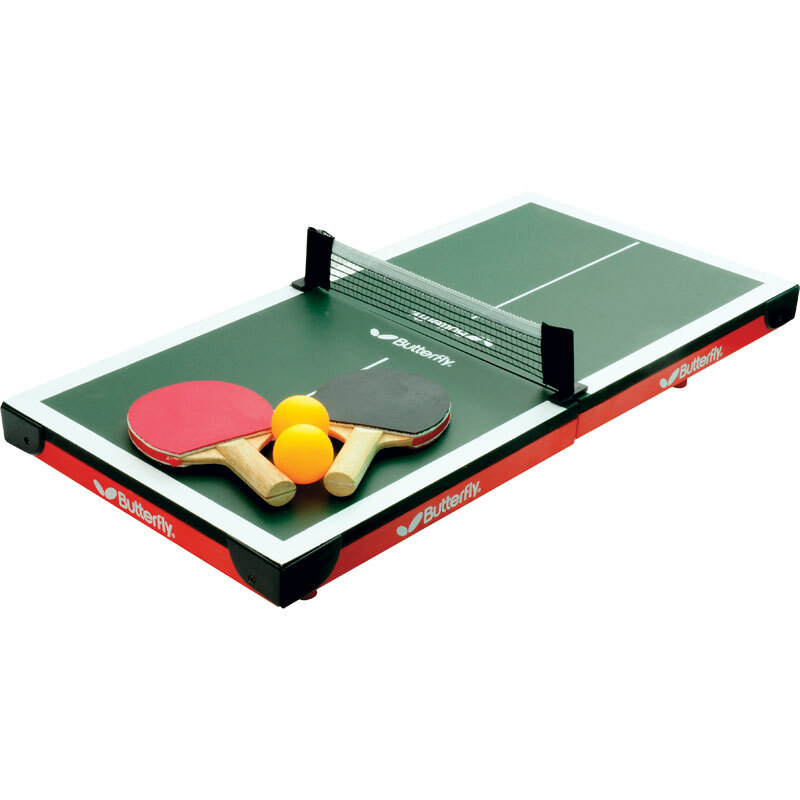 The Butterfly ® Mini Table Tennis Table is perfect for youngsters learning to play the game, and is suitable for play at home, in the hallway, lounge, garden, garage, playroom . . . in fact anywhere. 12mm thick wooden playing surface. 4 easy to assemble legs. Comes in its own carrying case with convenient handle. Comes complete with 2 mini sponge bats & 2 40mm balls. Size (in use): 58 x 29cm. Size (folded): 30 x 29cm.